Get a chance to mingle with your idols! (SPOT.ph) PLDT Home Ultera plans to kick off the volleyball season with a UAAP-themed quiz day, and they've invited brand ambassadors Alyssa Valdez, Mika Reyes, Rachel Anne Daquis, Dindin Santiago, Ara Galang, Johnvic Torres, and Peter Torres to come along. 1. Download Viber and follow the Volley Friends groupchat. 2. Name your favorite UAAP Volleyball Team and explain in detail why you adore them. 3. Post your answer on Facebook, Twitter, or Instagram. 4. Make sure to tag @PLDTHOME and include your school’s hashtag, #ULTERAxUAAP78, and #VolleyFriends in your answer. Eight lucky winners will get the chance to bring two of their pals to the Volley Friends' Volleyball Season Kick-off on Saturday, January 16. The winning team gets to make a P25,000 donation to a local volleyball group of their choice, and the winning Volleyfriends will receive season access tickets for all the Round 1 UAAP Volleyball Season 78 games. All participants will take also home signed volleyballs and school shirts, as well as other premium items. Here's your chance to spend an ultra-fun day with the Volley Friends! Follow the all-out fun of your favorite volleyball superstars online by following the VOLLEYFRIENDS on Viber Public Chat. 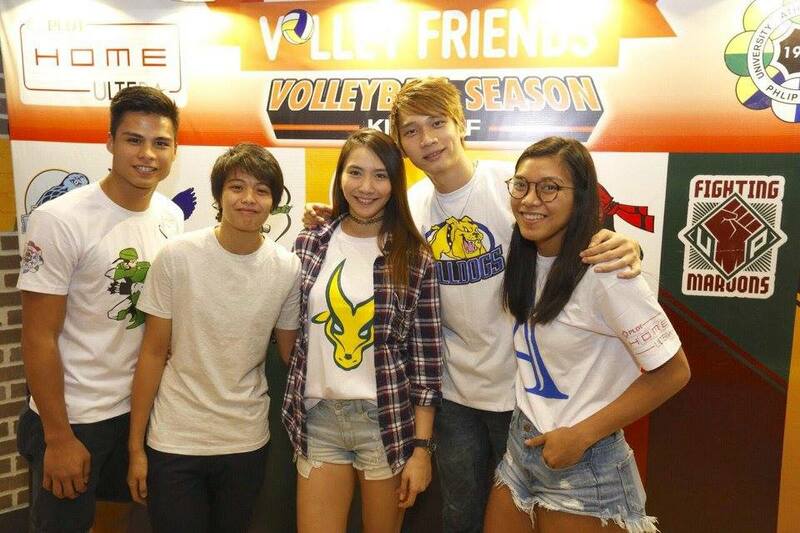 Don’t miss out on the latest updates and kulitan from your volleyball idols behind the scenes!